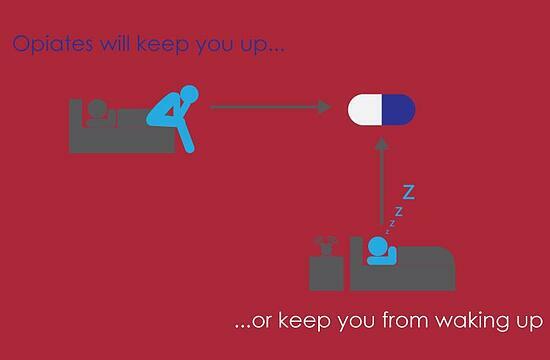 Let’s look at how opiate medications affect sleep in more detail. Opiates are strange in that they have properties that both make us feel tired but also promote wakefulness . The result is the frustrating feeling of wanting to sleep, being ready to sleep, but being unable to actually get a good sleep. It’s unclear how short term opiate medication use may affect sleep, as well as the extent to which sleep related side effects are a risk factor for perpetuating opiate use. The other important sleep stage is NREM (non-REM) stage three, which is where deep sleep occurs. Opiates disrupt both of these stages of sleep because of its complex interaction with a chemical called adenosine – an interaction that is dose and receptor dependent . Hence, even if you take opiates and get a “full nights rest,” you may still feel physically fatigued and tired in the morning. Prolonged use of opiates may contribute to sleep apnea. Sleep apnea, simply put, is a medical condition where one breaths shallow or experiences pauses in breathing, leading to a person waking up to instigate normal breathing. This may happen many times during the night, essentially crippling one’s ability for restful sleep. For many people, taking opiate medications are necessary. 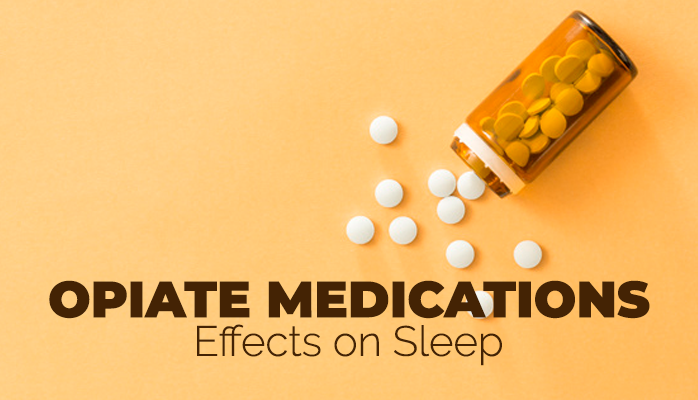 To see how opiate medications are affecting your ability to get restful sleep, we highly suggest that consult with a sleep specialist or get a sleep study.